How do you handle it if all of your friends hate your ex-girlfriend? In Jack's case, he got back with her and then proposed to her. But this I Hate Weddings.com story has a fairytale ending. 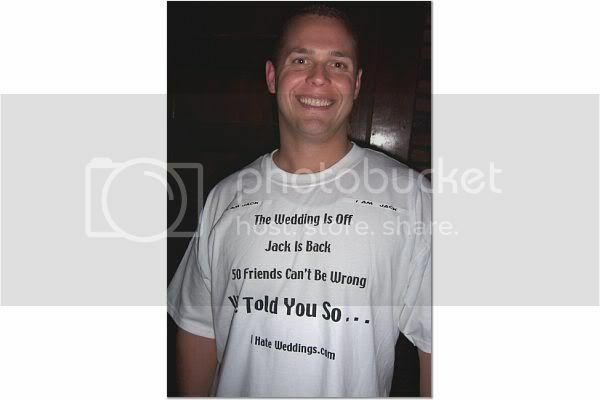 Jack smartened up and got out of the relationship, the day before the invitations went out. Read a little bit about Jack, his friends and how we managed to have a mini reception on his wedding day. If you have pictures from the night, please e-mail them to me at TJK1701@aol.com. If you have fun stories and opinions, leave a comment.